Tour de Force is a CRM software designed for B2B or business-to-business organizations. It enables users to configure and customize the system based on their business needs. We compiled Tour de Force user reviews from around the web and determined that they generally have positive ratings. We also compared their most popular pricing options available. Users who recommended Tour de Force said that they appreciate its flexibility and customizability — saying that they can design the system to be very basic or advanced, depending on their current business needs. They also find the reports generated from the system to be helpful and informative. Users who gave Tour de Force negative reviews reported that there are times when the software does not sync with other integrations. Some users have also complained that it is hard to navigate the program sometimes. One user who gave Tour de Force a positive review on G2Crowd said that the software allows her to streamline all of their business processes and information-sharing because of the app’s high level of customizability. She said that it is very flexible and their team was able to design the workflow based on their internal processes — saying that it adapted to their processes, instead of the other way around. She also shared that the support team has been consistent in being responsive and helpful through the years. One user who left a review of Tour de Force on G2Crowd said that due to their business’ rapid expansion of more than 20% the past year, the system had a hard time keeping up with their company’s growth. As a result, the system made it difficult for them to import large amounts of contacts and accounts. Tour de Force offers customized pricing that ranges from $20 to $50 per user per month. This depends on the license type and number of users. Interested users may contact the Tour de Force team to request for a custom pricing specific to their business needs. 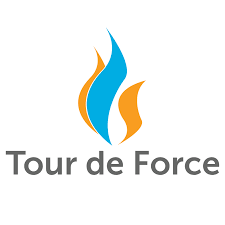 Check out the list below for some of Tour de Force’s features. Does Tour de Force offer a free trial or demo? They do not offer free trial. However, interested users can request for a product demo. Is Tour de Force available on mobile? Yes. Tour de Force is accessible online, offline, and through mobile devices such as smartphones and tablets. Does Tour de Force have an integration with Microsoft Outlook? Yes. There is a special Tour de Force toolbar on Microsoft Outlook that can be accessed by any Tour de Force user once the software has been installed on their desktop. This allows users to easily navigate between the two systems. This video provides an overall background on what Tour de Force can do through customization of business processes. Not sure if Tour de Force is the right fit for you? Read our reviews of the top CRM software for comparison or check out one of these three Tour de Force competitors.